Goalkeeper Arnold Origi has officially acquired Norwegian citizenship and his switch could not have come at a better time. On Monday, controversial ‘public intellectual’ David Ndii started a ‘petition’ calling for the self-determination of some tribes. According to Ndii, Kenya is a cruel marriage and it is time to talk divorce. With Origi renouncing his Kenyan citizenship as required by Norwegian law, the 33-year-old has been a topic of discussion in the same vein as Ndii’s controversial remarks. The former Mathare and Tusker football clubs custodian went to Norway in 2007 where he has played for various clubs there before applying for Norwegian citizenship. He is currently attached to top flight Norway club Lillestrom. According to popular opinion in social media circles, Origi’s move was smart and Norway is his Canaan. Arnold Origi ameona awache hizi upuzi zetu za umtaa. Plus, I think this move will secure his future after football. All the best to him. All the best to GK Arnold Origi in life as a Norwegian . Thank you for your service. I was done with Arnold Origi after he miscued a back pass and put the ball in his own net vs Eritrea 11 years ago. Good luck to him. The difference between me & Arnold Origi is that he has gone to Norway and I will be going to The People’s Republic of Kenya. Arnold Origi has applied his right of self determination! Crooked up country with Crooked up junkie leader and a thief for his deputy! Nkt! 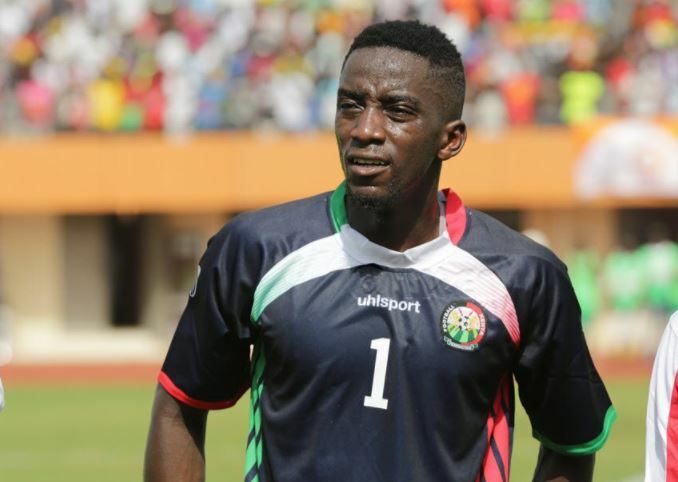 Harambee Stars goalkeeper, Arnold Origi, has taken Nowegian citizenship. Its called right to Self Determination. The march goes on! Arnold Origi chose Norway over Kenya cause his future & that of his kids is more important. You can’t really bank on this country anymore! Politicizing Arnold origi’s move with #nomovingon hash tag is hypocrisy..the guy already moved on. Like Arnold we should move NASA=Jubilee. so Arnold Origi has reached Canaan..please update us, hapo ikoje? Arnold Origi going to play for Norway at 33 is like buying a newspaper in the Evening.